Master Gardeners garden tour. The Penn State Master Gardeners of Lawrence County are hosting the third annual Garden Tour July 22 from noon to 5 p.m. The tour highlights area gardens, which can be toured at your own pace. Master Gardeners will be available at each location to answer questions. The Altman Garden, New Wilmington, includes three acres of hostas, daylilies, lilium and daffodils. Pam Docherty’s gardens, New Castle, includes two gardens of perennials and annuals and a memory garden. Frank DiLeo’s garden in Mount Jackson includes a vegetable garden, fruit trees and a small bonsai tree collection. Cost is $10. Registration is encouraged. Register online at https://extension.psu.edu/master-gardener-garden-tour or by calling 877-345-0691. Registration will be available at garden No. 1 the day of the tour (The Altman Garden at 300 N. Market St., New Wilmington). Participants will receive garden location information upon registering. Plant Jubilee. The second annual Snyder Park Gardens and Arboretum Jubilee at Snyder Park, 1900 Park St., Springfield, is Aug. 4 from 9 a.m. to 3 p.m. The event is free. Hundreds of varieties of plants are on display in six gardens. In the clubhouse, speakers will present a variety of garden-related subjects. Schedule of demonstrations and times are at http://clark.osu.edu. The event includes children’s activities, vendors and public service organizations, free food and live music. For more information, contact Ohio State University Extension of Clark County at 937-521-3860 or http://clark.osu.edu. Canning classes. 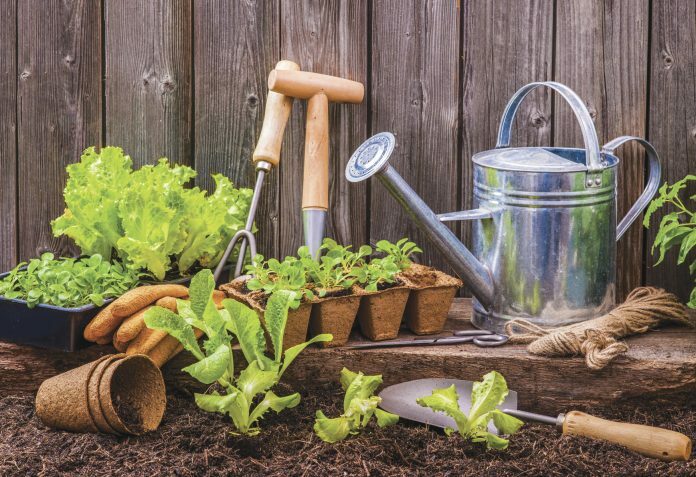 The Mahoning County Master Gardeners will hold a home canning and food safety series July 26 and Aug. 9 from 1-4 p.m., at the Mahoning County Extension office, 490 S. Broad St., Canfield, Ohio. Topics such as jams and jellies, canning tomatoes and drying apples will be covered. Participants can also bring pressure canners gauges to be tested for safety and accuracy. Registration for one class is $15 per person. To register or learn more, contact Mahoning County Extension at 330-533-5538 or visit go.osu.edu/canning2018. Canning classes. Ohio State Extension in Portage County will hold a pressure cooker demonstration and safety inspection July 19, 6-9 p.m., at the Portage County Randolph Fairgrounds, 4215 Fairgrounds Road, Randolph, Ohio. July’s program will focus on pickling vegetables and using a pressure cooker for meat and vegetables. Walk step by step through the pressure canning process and have pressure cookers tested for $5 per canner. Pre-registration is required and costs $10 per person. Download a registration form at portage.osu.edu/events.